No sooner had the virtual ink dried on my post about a new ADR health care blog than I received a delightful message about a new dispute resolution podcast — this one with a distinctly international flavor. International Dispute Negotiation, presented by the International Institute for Conflict Prevention & Resolution (CPR), explores ways professionals from different countries and backgrounds approach dispute resolution. The podcast is intended to help listeners understand the risks of disputes and shed insight on optimal ways of accepting, mitigating, and managing those risks in the real world, whether through mediation, arbitration, or litigation that arises far from home. International Dispute Negotiation is hosted by Michael McIlwrath, Senior Counsel, Litigation for GE Infrastructure – Oil & Gas. Michael is based at his company’s headquarters in Florence, Italy, and is a long-time member of the CPR Institute and its European Advisory Committee. Michael tells me that the podcasts are mainly recorded when he’s on the road in different countries, the editing is done in Florence, and the feed is through CPR’s website in New York. This podcast is the latest addition to the World Directory of ADR Blogs, which tracks and catalogues blogs covering dispute resolution and negotiation. If you publish or know of a blog that should be added to the World Directory, please let me know. It’s a commercial-free site, and there is no cost to be listed. The Directory has information on submitting your blog and some simple submission guidelines. Congratulations, Michael, and best wishes on the launch of this superb audioblog. 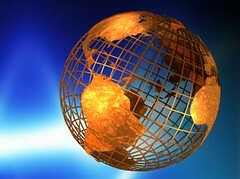 This entry was posted in Blogs and Bloggers, Cool Stuff on the Web, Global and Cultural Awareness, Negotiation and Settlement, World Directory of ADR Blogs. Bookmark the permalink.